NOTE: We are using pictures to illustrate this lesson but Satan and his demons are spirit-beings and they do not have bodies. Lesson 4: Who is our Enemy? When God made the world, He made everything beautiful. The first people were very happy! But now many things are not beautiful, and people are often unhappy. There is lying, stealing, hatred, and fighting in the world today. There is sickness, sadness, and death. What happened? An enemy brought sin into the world. Sin ruined God’s beautiful world. Who is this enemy who brought sin into the world? His name is Satan! He is also called the devil. He hates God, and he hates us too. From the Bible we learn that Satan was created as a beautiful angel named “Lucifer.” He was the wisest, the most beautiful, and the most powerful angel that God ever created. For some time after Lucifer was created, he loved God and obeyed Him perfectly. But pride entered his heart, and he sinned against God. Lucifer decided that there was no one so beautiful as he, no one so wise as he, no one so powerful as he, no one so great as he. Therefore he decided that he should be God. He rebelled against God and said in his heart, "I will ascend into heaven, I will exalt my throne above the stars of God…I will be like the most High [God]" (Isaiah 14:13-14). A great change took place in Lucifer’s heart when he sinned. Before this time, he loved God and wanted to obey Him. But after he rebelled, he loved himself and wanted to have his own way. When Lucifer rebelled against God, his name was changed to Satan. Satan was the first angel to rebel against God, but many other angels followed Satan in his rebellion. 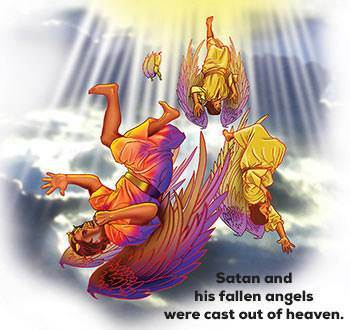 These angels are called "fallen angels" or "demons." The angels who remained true to God are called "holy angels." 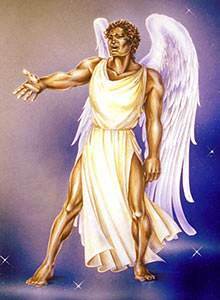 Satan and his fallen angels were cast out of Heaven, but they set up a kingdom to fight against God and His kingdom. Ever since that time there have been two kingdoms in the universe—the kingdom of Satan and the kingdom of God. Because Satan hates God, he wanted to get Adam and Eve to disobey God. He wanted them to rebel against God just as he had done. But how could Satan get Adam and Eve to disobey their loving Creator? He would do it by deceiving Eve. To deceive people means to make them believe that which is not true. Why does Satan deceive people? He deceives them to get them to sin. He tricks people into disobeying God and doing wrong things. This is what Satan did in the Garden of Eden. He tricked Eve into disobeying God. Satan came to Eve in the form of a serpent. He said to Eve, "Did God say that you shall not eat of every tree in the garden?" Eve said that God told them not to eat the fruit of the tree of knowledge of good and evil. If they did, they would die. Satan then told Eve a lie to deceive her. He said, "You shall not surely die. For God knows that in the day you eat of that fruit, your eyes will be opened and you will be as gods." 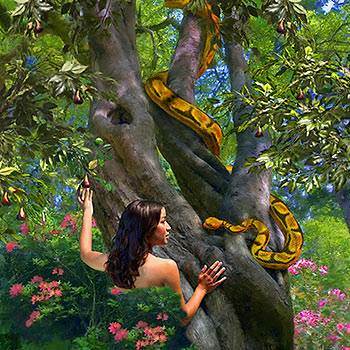 Satan deceived Eve into thinking that it would be good for them if they ate the fruit. Eve believed Satan’s lie. She took the fruit and ate it. Then she gave some of the fruit to Adam and he ate it. Eve was deceived by Satan, but Adam was not deceived. He chose to disobey God! Adam and Eve were now sinners. They now had sin in their hearts. 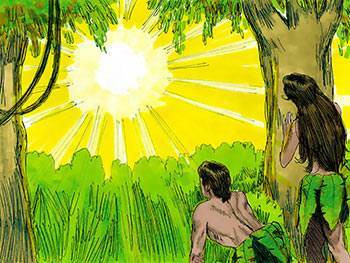 When God came down that evening to walk and to talk with them, Adam and Eve hid from God. They were afraid of Him because they knew that they had done wrong. Adam and Eve’s disobedience brought sin and death into the world! They had to leave the beautiful Garden of Eden. They could no longer live with God. But God still loved them and He promised that one day He would send a Savior into the world. That Savior is the Lord Jesus Christ. Ever since the Garden of Eden, Satan has been deceiving people with his lies. Satan deceives people into believing that the Bible is not really the Word of God. 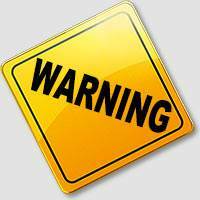 He deceives people into thinking that they will not be punished for their sins. Satan deceives people into believing that they can be saved in some way other than trusting Jesus as their Savior. But the Bible makes it clear that there is no other way to be saved. Jesus said, "I am the way, the truth, and the life: no man comes unto the Father, but by Me" (John 14:6). Satan tells us that sin is fun and there are no consequences. He says, "Live for now. Do what you want to do. If it feels good, do it! That is the way to be happy." But sin will not make you happy and there are always bad consequences that come with sin. Adam and Eve listened to Satan and disobeyed God. Did it make them happy? No, it did not. Their disobedience brought sin, sorrow, sickness, and death into the world. 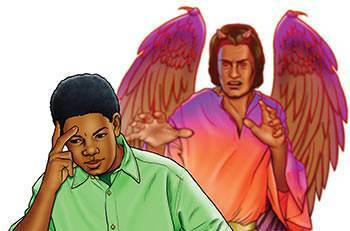 Satan deceives children and teenagers into rebelling against their parents and teachers. Satan rebelled against God and he likes to see children being rebellious and disobedient to their parents and teachers. Satan deceives people into using drugs, alcohol and tobacco by making them think that these things will help them make friends and enjoy life. It is a sin to take anything into your body that will harm you or destroy you. Satan wants to deceive you! He wants to destroy you. The Bible warns us to be careful because the devil, "as a roaring lion, walks about, seeking whom he may devour [destroy]" (1 Peter 5:8). How can we keep from being deceived by Satan? We can keep from being deceived by knowing and obeying what God says in the Bible. 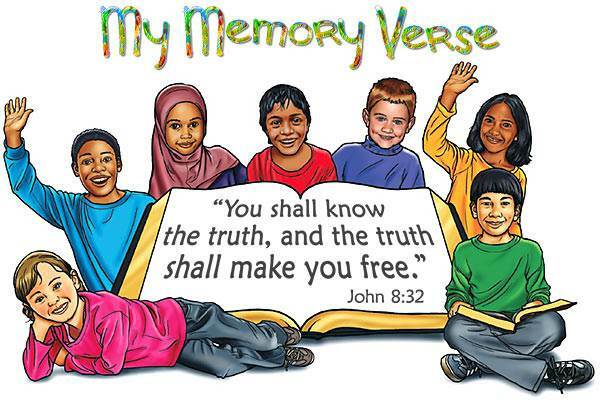 Jesus said, "You shall know the truth, and the truth shall make you free" (John 8:32). When Satan tempts us to do something wrong, he is trying to get us to sin. It is not a sin to be tempted. Even the Lord Jesus was tempted, but He never sinned. Sin comes when we give in to the temptation. The things that Satan tempts us with may look good but they are not good. Whatever comes from Satan is not good. Every good gift comes from God. The Bible says, "Every good gift and every perfect gift is from above, and comes down from the Father of lights [God]…" (James 1:17). This verse says that EVERY good gift comes from God. If something does not come from God, it is not good, no matter how good it may look. You can keep from being deceived by knowing and obeying what God says in the Bible. If you are in doubt about whether or not you should do a certain thing, ask yourself, "Would God like to see me do this?" If you think that God would not like to see you do it, do not do it! You may wonder, "What will happen to Satan?" The Bible tells us that one day Satan and all those who follow him will be cast into the lake of fire. This terrible place was not created for people. It was created for the devil and his angels. The Bible says, "And the devil that deceived them was cast into the lake of fire…and shall be tormented day and night forever and ever" (Revelation 20:10). 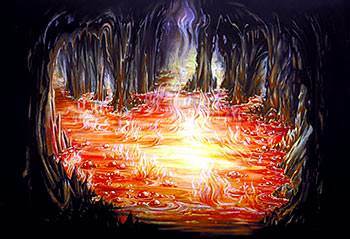 The Bible says that those who do not receive Jesus as their Savior will also be cast into the lake of fire. Satan's evil spirits are real! Do not have anything to do with books, card-trading games, movies, and TV shows about witches, wizards, and spirit-beings. God tells us to stay away from fortune-tellers and those who try to get information from the spirit world. The Bible tells us to have no part with "the works of darkness [Satan's kingdom]."